In this episode of In the Field, we take a closer look at the informal economy in India - the workers that hold up our cities. These are the millions of street vendors, drivers, dhobis, vegetable sellers, domestic workers, electricians, construction workers and wastepickers that are very much a part of the urban landscape, but also an integral part of our lives. Informal workers are usually self-employed, work from home or make their living from contractual work. This means their livelihoods are fundamentally insecure. While many informal workers hover above the poverty line, one major illness in the family, for instance, can push them below it, into a crippling cycle of debt or poverty. Beyond learning about their struggles, we explore what really needs to happen to truly improve their lives - improve self esteem and skills, their chances of getting decent work, and lessen their vulnerability to economic shocks. Across India, many civil society organisations and NGOs have been set up to support the informal sector, to give these workers a leg up, or help them organise and fight for their rights. One significant example of an informal worker group that we learn about are the wastepickers, the men and women who play an essential role in managing city waste, but are still amongst the poorest and most disadvantaged. Most wastepickers have a deep knowledge of recyclable waste and perform a critical environmental service. 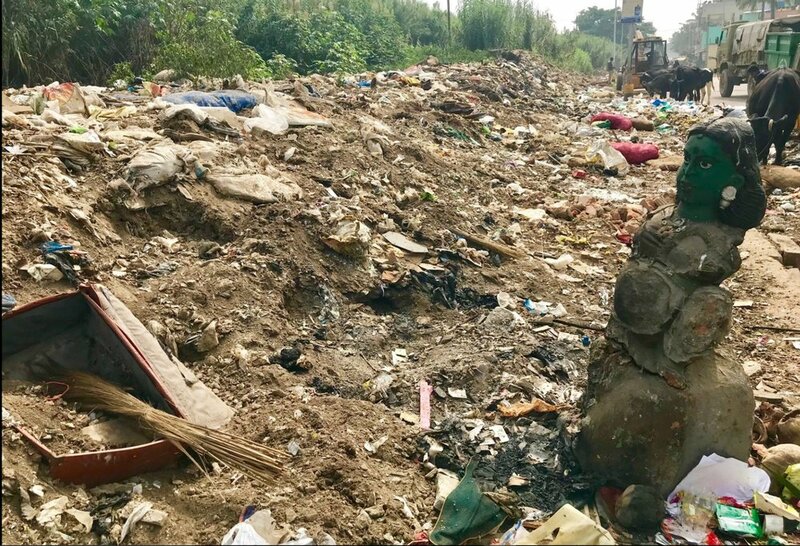 Indian cities are bursting at the seams, with people and their waste, but some cities are finally integrating wastepickers into municipal solid waste management services. What more can be done to make the lives of informal workers secure? The state, the private sector, civil society and philanthropy can all play a role in moving the needle. Many thanks to Gramvaani for sharing some of their fascinating work with us. Thanks to Kaveri Gill from Shiv Nadar University, Nalini Shekhar, Gayathri Vasudevan, Siddiquebhai and Gramvaani. Thanks also to Pinky Chandran, Priyanka and Usha from Radioactive, also to Hasirudala, everyone at Labournet, Avinash Krishnamurthy and S3IDF, Aaditeshwar Seth and the team at Gramvaani - do listen to Radioactive and Gramvaani, they do some great work and you can listen to their programs online!